At Woodlands Recovery Centers, we know how important family therapy is to your addiction treatment. In fact, many therapists agree that this therapy method is a cornerstone to addiction recovery. This may leave you wondering why family counseling is so important to recovery. Let’s take a deeper look at what this therapy can do for you. Family therapy or counseling is a form of psychotherapy that involves family members or people that clients consider family. The idea behind it is to rebuild lines of communication and support from relatives. Communication is key to avoiding relapse after leaving rehab. Woodlands Recovery Centers use family counseling as a key aspect of treatment. We like to involve your relatives and teach them about addiction while teaching you as well. Educating everyone is an important step in helping you and them truly understand your struggle. Attending family counseling has a number of benefits. Below are a few that Woodlands Recovery Centers often see clients experience. Studies show that one of the main reasons why people don’t seek treatment is for fear of judgment from others. It’s common for them to think that family and friends look down on them when they seek help. Instead, it’s the opposite. Family members usually look highly upon loved ones who want to better themselves. During family counseling, they get to share these thoughts with you. Hearing the thoughts and feelings of your family members can make all the difference in the world. Many people think that addiction doesn’t hurt anyone but themselves. In truth, it affects everyone around them. They might lie, steal and cheat to cover up your problem. Family counseling can bring these issues to the forefront and address them. A majority of drug problems actually start within families. People who grow up in households where drug use is common are more likely to abuse drugs themselves. Fighting, discord and other challenges can also lead people to use drugs to deal with the emotional stress. Unfortunately, you may not even know that there’s a problem within your family. Sometimes it takes an outsider to pick up on clues. 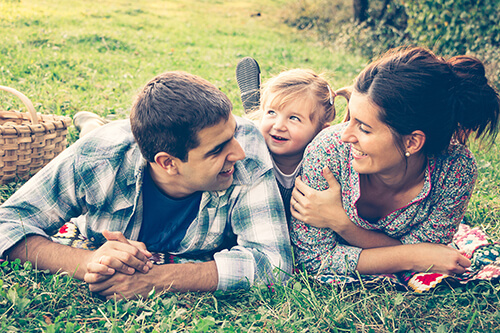 At Woodlands Recovery Centers, our therapists can help uncover underlying issues within your family. At Woodlands Recovery Centers, we offer treatment for both men and women. We aim to address your specific needs regardless of your gender. Addressing your individual problems ensures that you have a safe and quick recovery. Don’t let addiction rip your family apart. Learn more about family counseling at Woodlands Recovery Centers. Call us today at (855) 752-3377 for more information about how we can help.